Pashminas look elegant on their own, but they can become “wow!” scarves with a perfectly placed pin, sash, headband, or other accessory. Pashminas work perfectly as a base with almost any look! Pair them with another scarf, or try a Sari Sash or Ruffled Waves Sash! Since they’re solid color, they’re also perfect for pairing with the boldest of patterned scarves. However you wear your Solid Pashminas, you’ll find yourself reaching for them again and again! I am well pleased with the fine quality of these scarves. I will be ordering more. Soft, cozy, and all-around lovely. I’d have one in every color if I lived somewhere cooler! Solid pashminas are my go to wrap to show off my scarf accessories. This peach is the perfect soft orange color. The scarf itself is warm without being too heavy. What a great basic scarf. Excellent quality. The green is a beautiful true emerald green. I was nervous to order green as yellow greens are not my thing but this is a gorgeous rich green with more blue tone than yellow. These solid pashminas are a great “basic” to have in your stash. 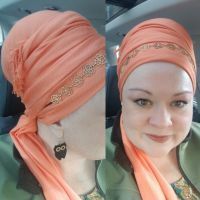 They’re pashminas, so those of us in a hotter climate may not be able to wear them year round, but when weather permits, it’s a solid, easy to wrap must have. Even though I live in a tropical climate, I still am glad to have them. And they’re not ridiculously thick, either. These pashminas manage to be “just right”. They’re sturdy and beautiful, better quality than other pashminas I’ve bought elsewhere. For the price, it’s worth picking up at least a couple. I wear mine regularly and they still look brand new. I was afraid solid pashmina’s would be too heavy and thick. But they really aren’t! They’re much thinner than I thought and for me, that’s a plus point. They’re easy to fold, soft and a bit shiny (like in the picture of Andrea). No regrets buying one whatsoever! Although I have (and love!) other, more patterned scarves, these are my hands-down favourite. Their sheen, drape, and colour are all unmatched. The colours I reach for most are Rivka Malka’s Teal and Eggplant, but I haven’t seen one yet that wasn’t fabulous! These are excellent quality pashminas. I have two, one in green and one in orange. I love them so much. I didn’t wear them too much over the summer, but I am looking forward to breaking them back out for fall. The orange I will usually pair with the light blue NY bright that I have. The blue and orange complement each other so well, and it really makes the colors pop. If you were to ask me what I wear daily, I would tell you that I wear a solid pashmina daily. I love the soft yet thick texture of these. They are so comfortable and secure on my head. I love them! I wear these and my signature scarf the most! I have them in a lot of different colors! Try them out, you will love them too! I agree with other reviewers in that Wrapunzel pashminas are better quality by far than the ones you find in department stores! They have a sheen to them and are very soft but doesn’t snag easily. I have the Rivka Malka Teal but have a whole list of other colors I want! The Wrapunzel pashminas are really a better quality pashmina! They have a pretty sheen to them and they pleat like a dream! The colors are truly amazing. They are the perfect beginner’s go-to. The only reason I don’t give them a five is that for me they are a little heavy to partner with anything other than a narrow sash or headband. 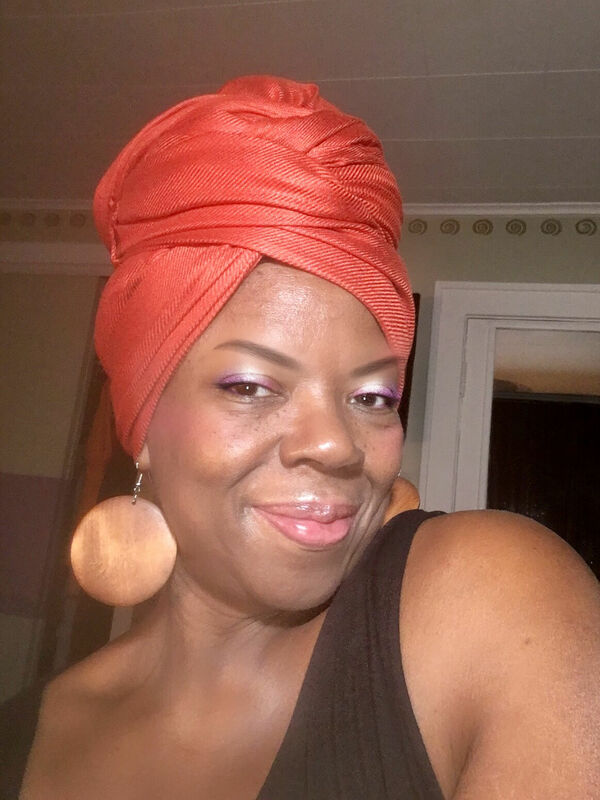 I find them too thick for twists, ropes, or braids, but there is nothing nicer on a cold morning than a soft pashmina; nothing nicer on a rainy day than bright colors; nothing more elegant than a simple scarf made exquisite by just the right pin or headband. You really can’t go wrong. I got the bright purple and its beautiful. 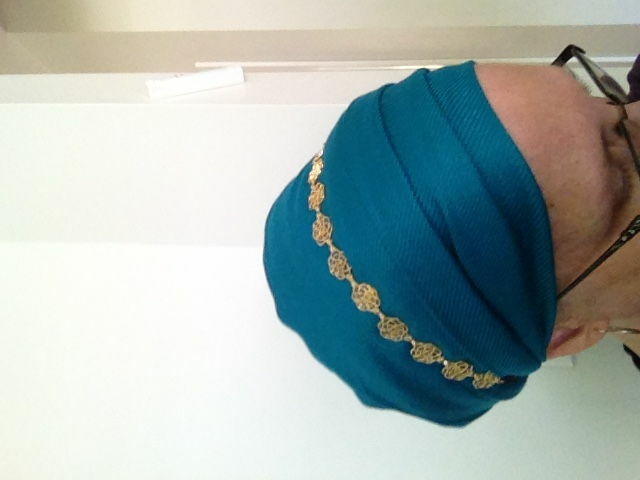 These are a staple in a tichel wardrobe. They’re easy to tie, and are not only great for layering, they’re wonderful on their own. A great scarf for coordinating and easily elegant, especially if you’re in a rush. For me, these are the underrated scarves, and often get forgotten among the fancier pashminas with patterns, and sparkles. Then I come back to these and remember the beauty in the simplicity of the solid pashminas. They are elegant on their own, perfect for adding pins, sashes, headbands, and for the more skilled wrappers, layering other scarves. The many beautiful colours add many possibilities to your wrapping experience. I have one solid pashmina. It is really lovely and seems very durable. I am not very good at wrapping with it because it is a bit heavy for me, but you can’t blame a really great pashmina for my inability and novice. Someday I hope I can use this pashmina to its full potential! I have lots of the solid pashminas and love them all so much! They are so comfortable and perfect for winter! Awesomer! Yep, I made that word up but it works perfectly for these pashminas. I have the navy one and I adore it. Tis my goal to one day OWN THEM ALL! While I haven’t started wrapping just yet, I am a scarf-lover. I collect them just because they are so beautiful. These pashminas are just lovely. The colors are softly muted, yet clear and elegant. The size is perfect for so many things. Thank you so much for these vivid colors that made me feel so confident and bright. They have been,also, delivered earlier than I expected!!! I am impressed from the quality of everything that I had ordered ( two pashminas, no slip headband and Wrapunzel classic shaper) and I intend to order some tichels made of lighter fabric,more appropriate for the tropical climate here. These gorgeous scarfs are another essential from the Wrapunzel site. They are such quality scarfs and I especially love how rich the colors are. I love pashminas! They stay in place and are great for any beginner. If your head tends toward getting over-heated easily, you might limit this to cooler weather as they are a thicker scarf. Personally, even though I do tend to over-heat quickly, I have not experienced that with pashminas or wrapping in general. I love how comfortable these are and I definitely need to order more! These are my go-to scarves when the weather is cooler. I love the deeper autumn colors that I’ve found here. And I love layering them with 2-in-1s and sashes. 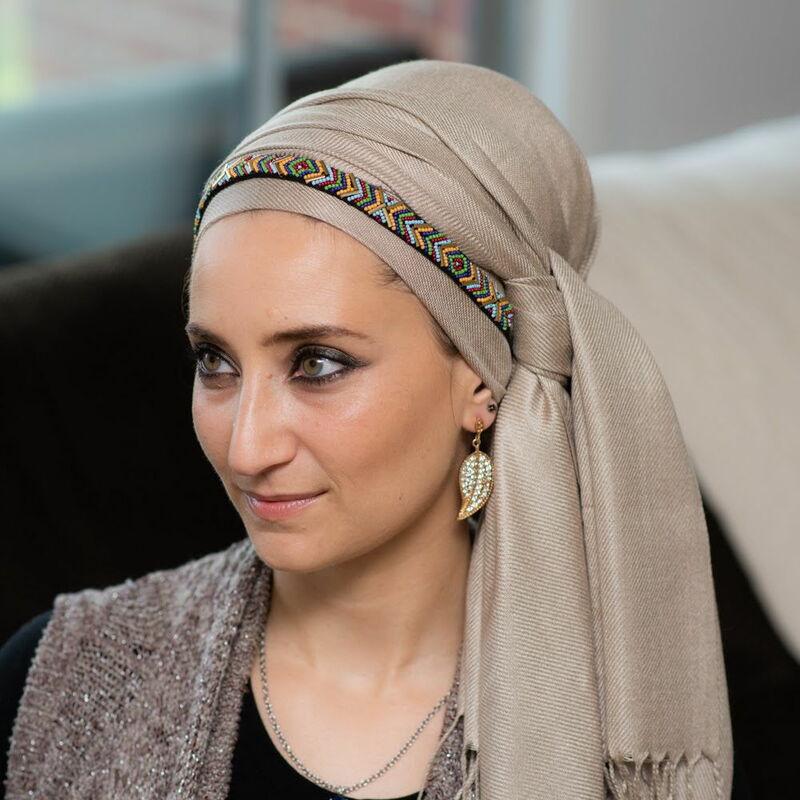 Twisty wraps, like the turban regal wrap with a twist, look amazing with pashminas because the density allows the twists to really show. I ordered two (teal and brown) and am very pleased with the quality and price of the scarves. Bright Purple is absolutely STUNNING! Pashmina is soft and very easy to work with. This just might become my “Go to” scarf. So soft, so luxurious, and so amazing! I have three Wrapunzel pashminas: tangerine, wine, and brown….and I plan on buying more ASAP! A good quality, colourful and basic tichel. They are soft and easy to work with, even though I think they are a bit too bulky for layering for my taste. I like to wear them when it’s cold outside – they keep your head nice and comfy! Much better quality than you would get in a lot of stores, and so soft and lighter than expected! I got one of these in white a while back when Andrea came to town, and it’s a great neutral color to accent and more colorful scarves. These scarves are so soft, and they have a subtle sheen to them. The bright colors are bold and stunning on their own, and they make great bases for sashes or layered wraps. 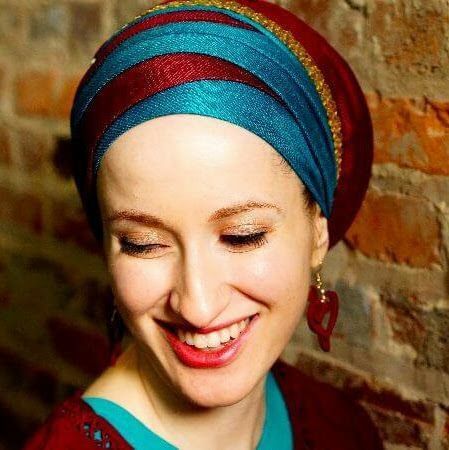 I have Rivka Malka’s Teal and Bright Purple, both colors are really rich. I’ll definitely be ordering more! I will never buy the ‘pashmina like’ scarves at the mall ever again. WRAPUNZEL pashminas are so soft, and easy to wrap, and DO NOT SNAG EASILY! I want one of each to wear with everything…and slowly I shall acquire them. I got the royal blue one of these and it is GREAT! I am from Alabama and with the weather 70 one day and 30 the next this fabric is perfect not to light not to heavy and feels great! And it is so simple to wrap! I am about to order each of one and a few for my friends! 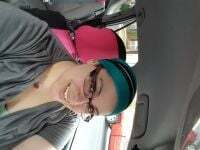 I have Rivka Malka’s teal, and it’s a very flattering color on me (I was nervous about that, teals aren’t always so flattering on me, because I have a lot of redness in my face). This tichel wraps well (some that I’ve bought elsewhere are much harder to work with). 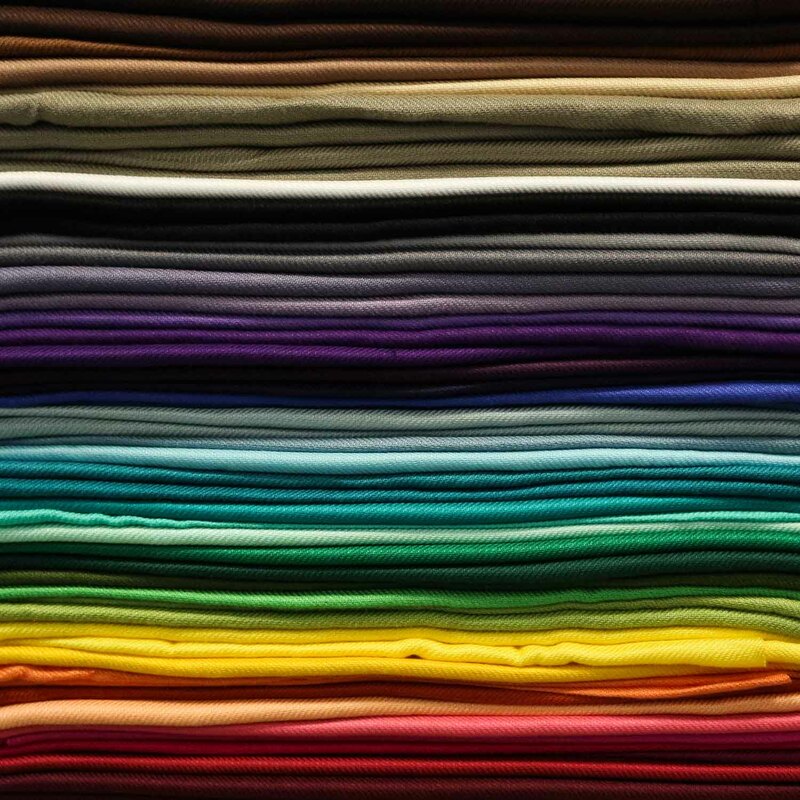 There is no end to the amount of colors you will find in the pashminas. I have gotten so many but my all time favorite is the tangerine. It is so popular that I had to wait for restock and it was worth the wait. I love it. I also got one in white, blue, and green, and purple. These are soft, and very comfortable to wear all day. 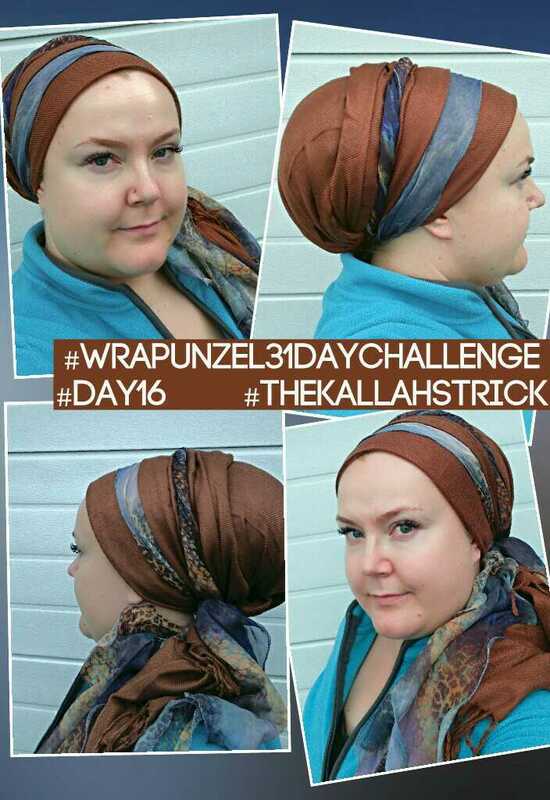 If you are like me and you cover your hair all day everyday, you will want to get a few of these. Nice for summer and winter. 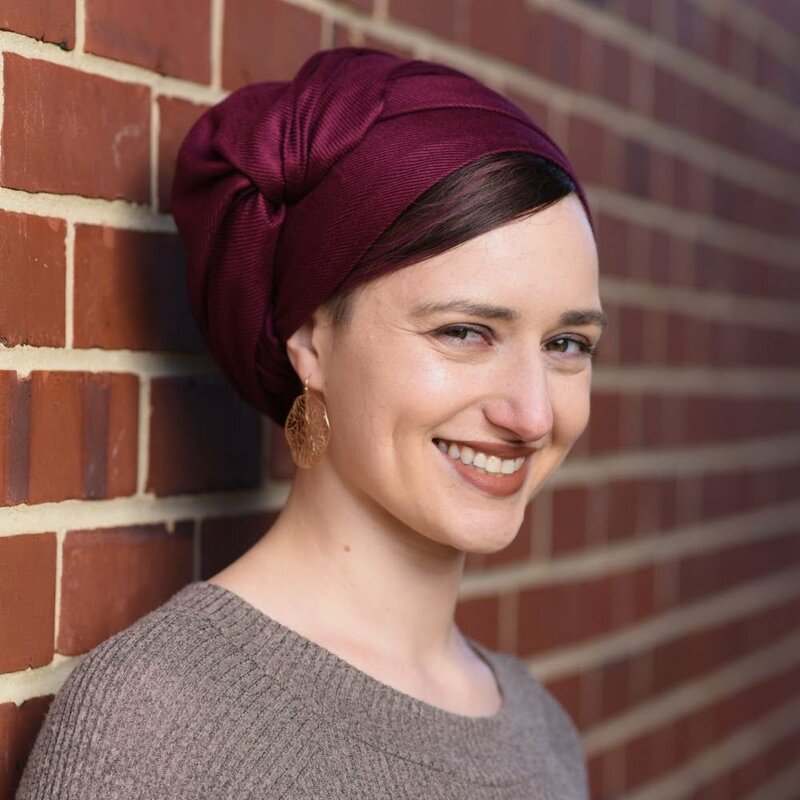 I received 3 of these FABULOUS pashminas in wine, tangerine, and Rivka Malka’s teal and they are absolutely STUNNING!! These are a perfect addition to your tichel collection. So unbelievably soft and easy to work with even with short hair! 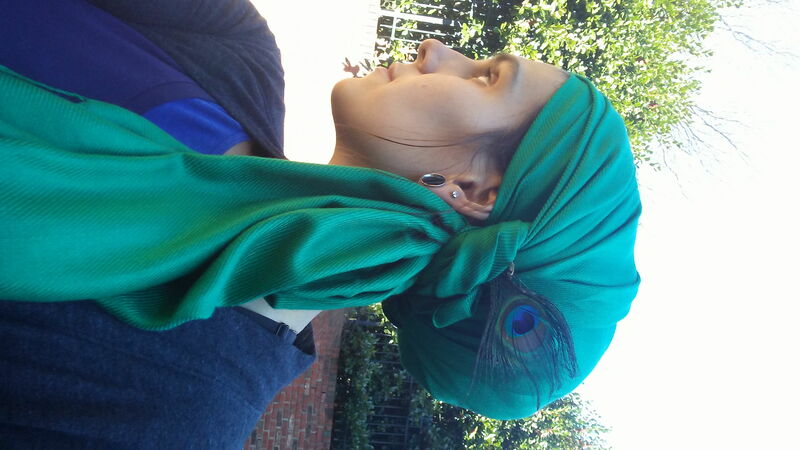 Tuff 2 in 1 Scarves are the BEST basic tichel we’ve ever had! As durable and grippy as a pashmina, but as light and layer-able as a 2 in 1! Capable of the fanciest layering and braiding, or the quickest and simplest one-scarf wraps, our Tuffs will take you everywhere you need to go. Looking for more colors? Try our Original 2 in 1s for tons of gorgeous hues and a slightly lighter, silkier fabric! A galaxy full of possibilities will be yours with this fabulous silver-spangled scarf! You’ll fall in love quickly with its shimmering pattern and fringe-free, easy-to-wrap fabric. Pashmina weight and fantastic sparkle? Yes, yes, YES!